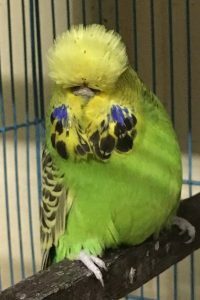 The Budgerigar - From Desert to Show Bench | United Budgerigar Society Inc. 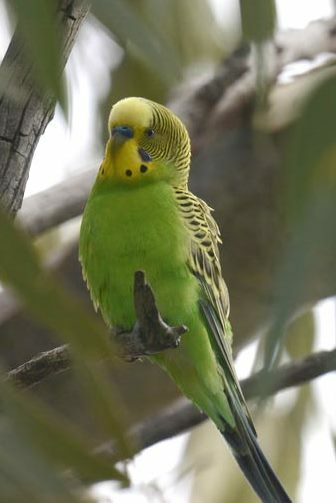 The name “Budgerigar” was established by the late 1800’s after many previous attempts at anglicising the Aboriginal word that produced such forms as “betcherrygah”, “betshiregah”, “boodjerigah” and “budgery garr”. One little bird certainly bore a heavy burden of names. The Aboriginal language from which the name is borrowed is Yuwaalaray, spoken near Lightning Ridge in N.S.W. and there is a suggestion that the “budgery” element meant “handsome”. By the late 1930’s the “budgerigar” had become a favourite as a pet and its name was affectionately reduced to “budgie”. By Susan Butler, Publisher of the Macquarie dictionary. The budgerigar was first described in 1805 by George Shaw, assistant keeper of the natural history department at the British Museum, and given its current binomial name by John Gould in 1840. The genus name Melopsittacus comes from Greek and means “melodious parrot”. The species name undulatus is Latin for “undulated” or “wave-patterned”. The budgerigar (Melopsittacus undulatus) is a small, long-tailed, seed-eating parrot. Budgerigars are the only species in the Australian genus Melopsittacus and are found wild throughout the drier parts of Australia where the species has survived harsh inland conditions for the last five million years. Budgerigars are naturally green and yellow with black, scalloped markings on the nape, back and wings, but have been bred in captivity with colouring in blues, whites, yellows, greys and even with small crests. Budgerigars are popular pets around the world due to their small size, low cost and ability to mimic human speech. Wild budgerigars average 18 cm (7 in) long, weigh 30–40 grams (1.1–1.4 oz), with an average wingspan of 30 cm in their natural habitat which is noticeably smaller than those in captivity. Budgerigars are nomadic birds found in open habitats, primarily in scrub lands, open woodlands, and grasslands. Nomadic movement of the flocks is tied to the availability of food and water. Drought can drive flocks into more wooded habitat or coastal areas. They feed on the seeds of spinifex, grass seeds, and sometimes ripening wheat. The budgerigar has been bred in captivity since the 1850s. Breeders have worked to produce a variety of colour, pattern and feather mutations. These mutations are continuing to appear with the latest “White Cap” in 2012. 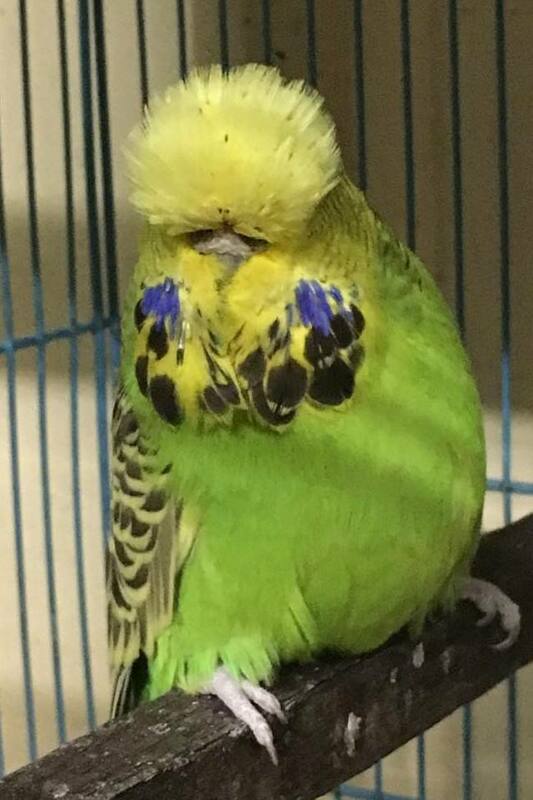 “show” or “exhibition budgerigars” are much larger than their wild counterparts, and with a larger size and puffier head feathers have a boldly exaggerated look. The eyes and beak can be almost totally obscured by these fluffy head feathers. They have a life span of about seven to nine years.